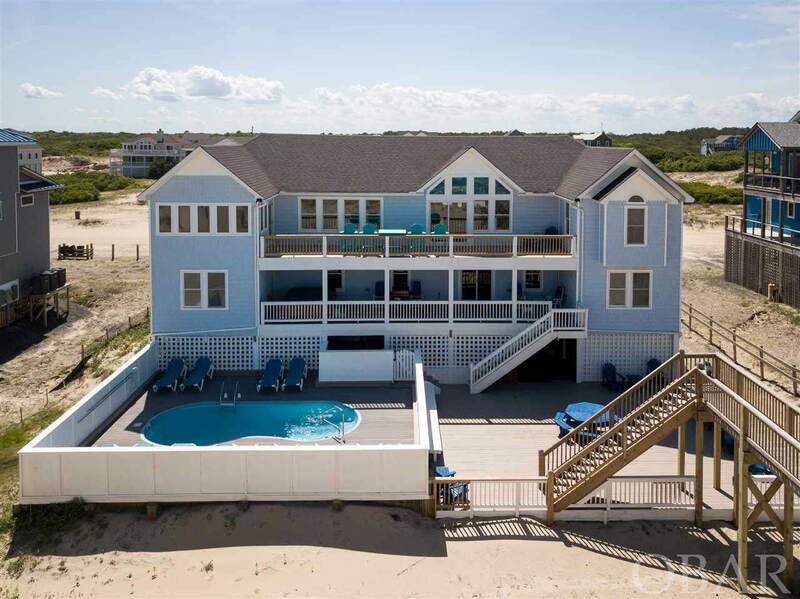 Meticulously maintained, well-appointed luxury home in the 4WD area of Corolla. 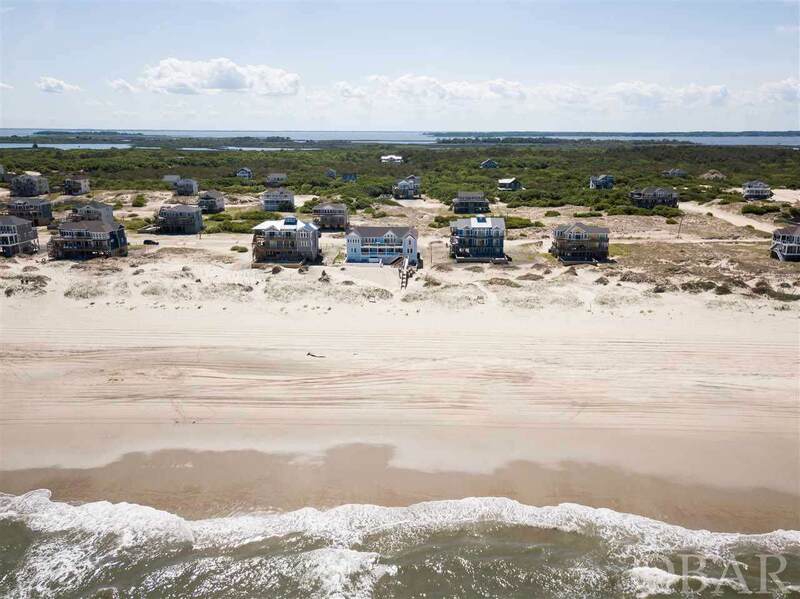 See the wild horses roam, take in the panoramic ocean views, and enjoy your oceanfront paradise. 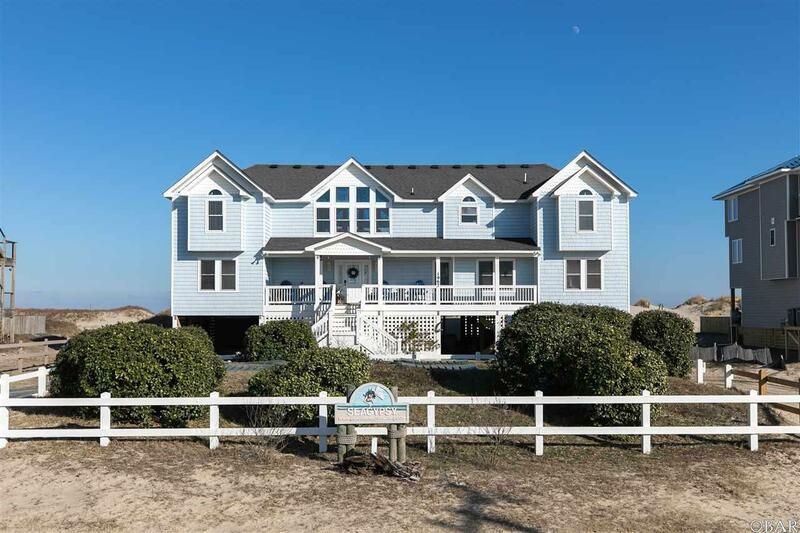 The top level features cathedral ceilings, 3/4 hickory hardwood floors, sweeping ocean views, a great room with beautiful fused-glass transom windows that opens up to a large dining area, a gourmet kitchen, sunroom, three master bedroom suites and an additional half bath. The gourmet kitchen features granite countertops, stainless steel appliances, double ovens, two dishwashers, a six-burner gas cooktop, farmhouse sink, and a perfectly coordinated island with another sink and plenty of workspace. The custom fused-glass backsplash and pendant lights were made to compliment the accents in the great room and dining room. Take the elevator or the stairs down to the next level to find another large living space with an amazing full bar, complete with granite countertops, a commercial ice maker, two more refrigerators, dishwasher and sink, and beer tap. See the pictures to appreciate the ocean views from this spectacular bar! 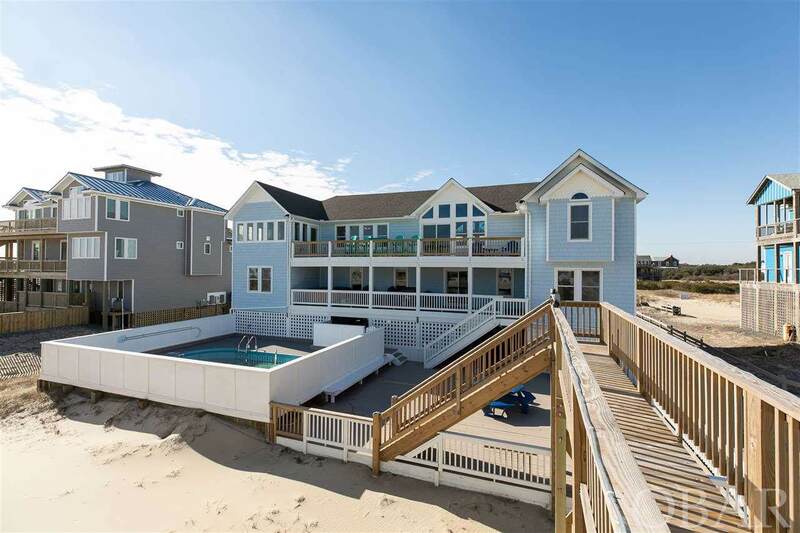 There are also four more master bedroom/bathroom suites on this level, an additional bedroom and full bath, half bath, laundry, storage and a large covered deck with a hot tub that overlooks the pool and ocean. Take the elevator or stairs down to the ground level to find two large storage areas, a full bath (perfect for the pool guests), lattice work surrounding the ground level for privacy, and plenty of space for parking. Most of the furnishings will convey with the home. All three HVAC units and the air handlers were replaced in 2014 with brand new Trane systems. More updates and upgrades, too many to list here. Contact the listing agent for complete info. $183K gross income on the rental projection, thats more than 15% ROI.